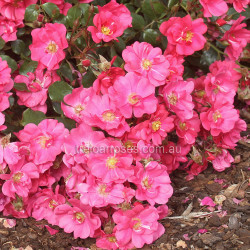 (Korpinka) - This variety was awarded a Bronze Medal for the Best Ground Cover Rose at the National Rose Trial Garden. 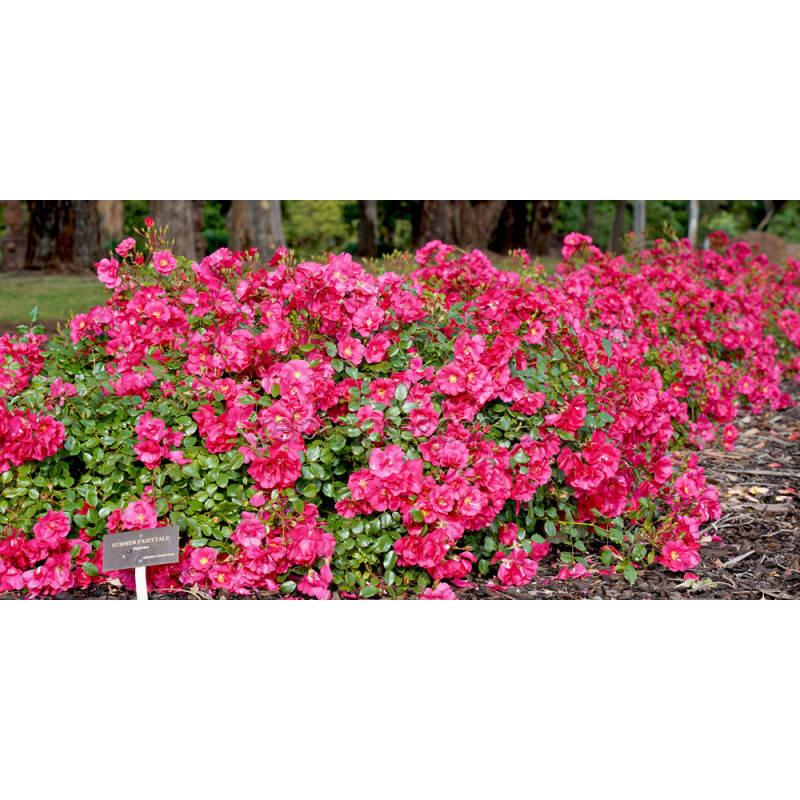 Bright pink, semi-double blooms with yellow stamens cover the spreading but compact plant all season. A very healthy plant which is continually repeat flowering. 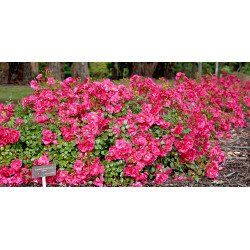 This excellent variety carries our full recommendation. Approx 45-75cm high by 90-150cm wide.